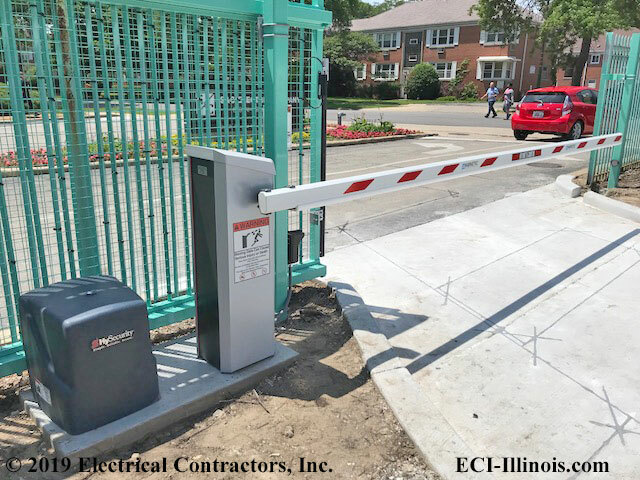 Last year ECI installed a long arm barrier gate and slide gate controller at this exit gate (as shown above) at a Chicago location. We also installed new vehicle detector loops on both sides of the gate – notice the saw cuts in the concrete – as well. At busy times of the day the sliding exit gate remains open. When traffic slows down, the exit gate closes to prevent unauthorized entry there (as shown below). A Nice/HySecurity SlideSmart DC™ slide gate operator, as installed, is shown at the far lower left in the top picture. This gate operator can move a 1,500 lb. sliding gate up to 40 feet in length. These slide gate operators are easily installed and configured. They can be retrofitted at existing sites such as this. Troubleshooting, maintenance and repairs are less expensive for the user since the controller is less complicated. Retroreflective photo eyes (shown on the green posts) are included standard with the gate operator. These are used to detect when a vehicle has cleared the gate; then a relay is activated to close the gate. Extended backup batteries are an available option. Where electricity is a problem, it comes ready for solar power. Magnetic® supplied the MHTM™ MicroDrive long barrier arm as shown. Models come for 12 feet, 15 feet, 20 feet and 28 feet lane widths. Articulating booms can be used in parking garages with low ceiling heights. Lighting and warning signs can be integrated into the barrier arms. Skirt fencing, traffic lights and different standard color choices are among other options available. Vehicle loop detectors embedded in the concrete sense a vehicle stopped at the gate and relay the operator to open the gate. Likewise when another vehicle loop detector senses the vehicle has left, a relay to the gate controller closes the sliding gate. 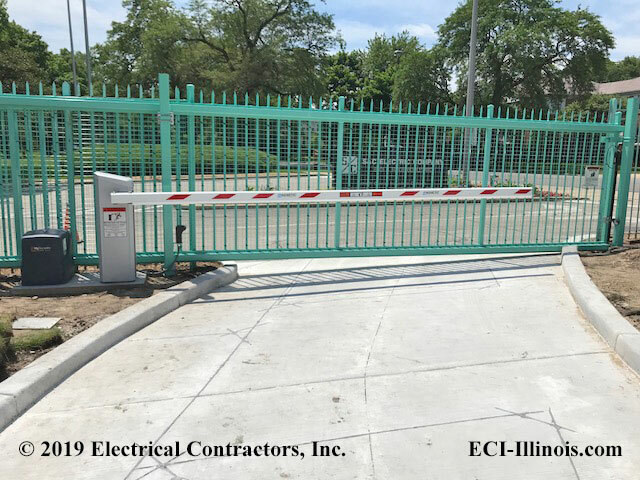 ECI also provides, installs and maintains other types of security barrier gates and an array of gate operators. Add ons include intercom and access control systems, AVID and RFID components, protective bollards, etc. 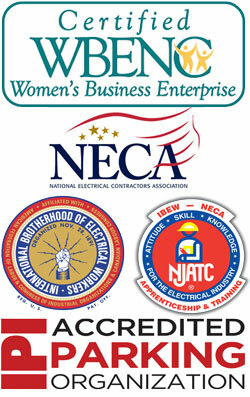 Learn more about our Vehicle Access Control products and services. 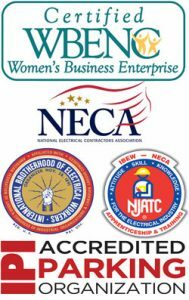 Call ECI today at 847.949.0134 for an assessment or click below for direct contact information.